New carpet has arrived! 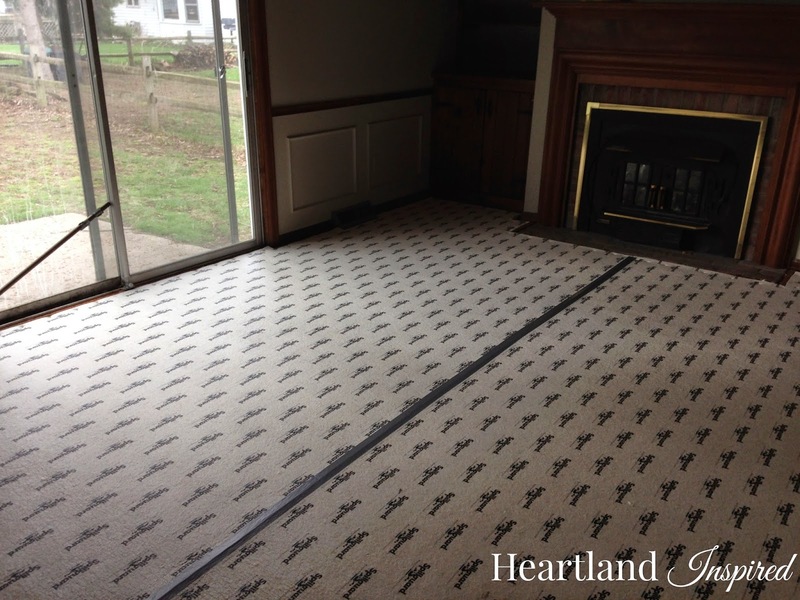 I can't even begin to describe my elation over getting rid of the nasty brown carpet and really old padding that was in the family room. The installers were able to come earlier than expected, which was very nice. They ripped the old carpet out in no time. The whole project only took about an hour. 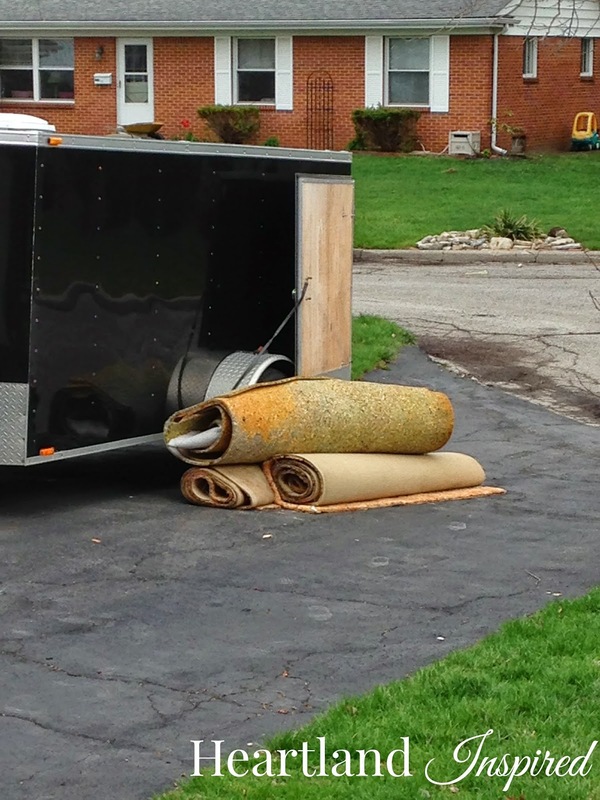 I wasn't sad to see the piles of carpet and padding in the driveway. 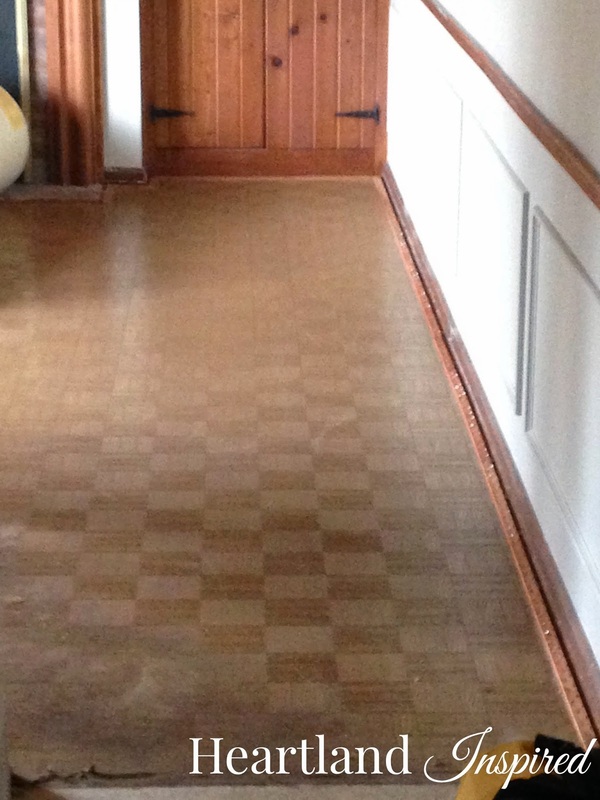 And lucky me....there was a lovely faux parquet linoleum underneath the carpet. I keep finding all kinds of surprises! Nice, new padding was installed underneath that has a stain blocker of some sort. The finished product! New carpet. 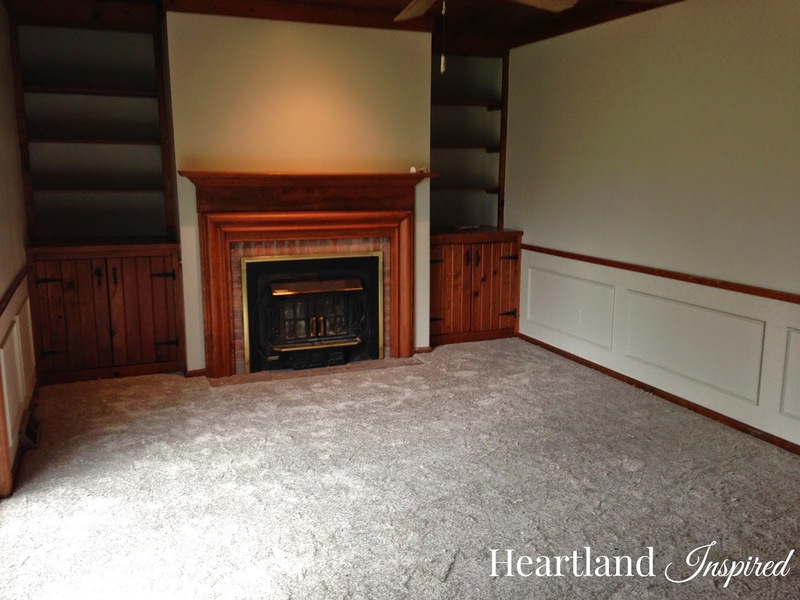 The room looks completely different, and so much better, with lighter carpet. There is no furniture and everything is nice and new. I love it! I vacuumed the whole room with glee. Now, I need to find furniture for this space.